Kit #7513. 1/64 scale. Polar Lights released this kit using previous Aurora molds and has a removable top. 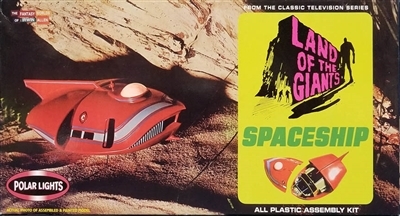 Based on the 1968 TV show, Land of the Giants, created by Irwin Allen and ran for two seasons.